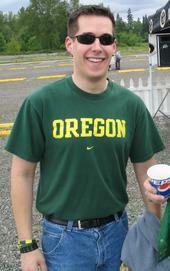 GoodNewsPDX was created by Colby Reade (”The Good News Guy”) in 2006. It’s concept was simple: give people good news, for free. Now, three years later, GoodNewsPDX is designed to provide a quick boost of “good” to your day, be it on the pages of this blog or on the air in the Good News Update every Monday on NewsRadio 750 KXL. About Colby: Colby Reade is a grad of the University of Oregon (although he makes sure to give the Beavs equal ink) and a lifetime news junky. He’s a veteran of newsrooms from Eugene to Portland with a passion for informing people about the world right outside their doors. He also enjoys writing blog postings in the third person.